If you are found “not guilty” or your case is dismissed, the record of the arrest, charge and disposition of the case will still appear on your Texas (TCIC) and National (NCIC) criminal history reports and in the county and district clerk’s computerized databases. 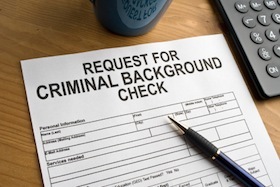 Individuals often notice that the criminal information is still on their record when they apply for a job, fill out an apartment lease application or another person searches their name and finds the criminal record to use against them in a future civil court proceeding. If a Judge signs an Expunction Order the State agencies must erase your records including finger prints, booking-photo, arrest report, and DPS records so that it is if the arrest never occurred. If your case resulted in a dismissal, a “not guilty” verdict, a “no bill” by the grand jury, a class “c” deferred disposition or your case was not prosecuted for some other reason, than you are eligible for an expunction. Different time limits may apply to your situation as some cases are eligible for expunction more quickly than others. Once your expunction has been granted, you may deny the occurrence of the arrest and the existence of the expunction order. However, if you are questioned under oath in a subsequent criminal proceeding you must admit only that the matter has been expunged. If you successfully completed deferred adjudication probation you may obtain an Order of Nondisclosure if it is in the best interest of justice. If your request for Non-Disclosure is granted, criminal justice agencies are prohibited from disclosing records to the public related to the arrest or charge. Different time limits may apply to your situation as some cases are eligible for expunction more quickly than others. Non-Disclosure orders are sent to all state and federal law enforcement agencies that have criminal records subject to the order. The Public Information Act makes it unlawful for these records to be released and you may deny the arrest or charge. 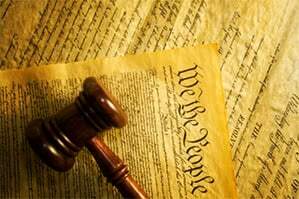 However, if you are being prosecuted for a subsequent criminal offense, the record can then be used against you. If you think you qualify for an expunction or a non-disclosure order, contact our office today at (972) 715-1929 to schedule a free consultation with a member of our criminal defense team.